Bliss is co-eval with Being-Consciousness. All the arguments relating to the eternal Being apply to eternal Bliss also. Your nature is Bliss. Ignorance is now hiding the Bliss, but you have only to remove the ignorance for the Bliss to be freed." Leadership development in its deepest meaning refers to the transformation of consciousness. The Human Potential realisation tools and methodology was created "to spark leadership development based on engaging the Human spirit to foster the potential of inspired people. This work invites seekers of new horizons in organisational life." (Adapted from quote by Max Riley, Ph.D., Center for Non-Profit Coaching, USA). Only by raising the individual and collective consciousness can we create that ‘space’ for sustained breakthroughs in Human performance and results. As a leader's consciousness develops, the leader's action logic (or meaning making) also develops. This new and more complex leadership meaning making capability has been correlated with increased leadership capacity (and effectiveness) in leading the team or organisation to find implementable solutions for complex change initiatives in a fast changing world we operate in. Arising Consciousness is the new postconventional leadership change lever for profound transformation and effective value creation. Conscious culture takes center stage in informing, shaping and elevating the present and future strategic capacity and capability of leaders and people in the organisation to adapt, self-renew and thrive in today’s uncertain, volatile and non-linear world. We provide practical methodology, tools and a roadmap for Conscious Culture Transformation and Higher Stages of Leadership Development. Leaders can now access a wealth of Human dimension data points and analytics to tap into the deep inner foundation of Human values and action logics (the way leaders make meaning and organises reality) for creating new solutions and results of unique value to others in more and more complex environment. Conscious culture becomes the wellspring for leader and people to grow and show up in their highest Human potentialities. William Torbert, Suzanne Cook-Greuter and Barrett Brown. Together with HR, I have reviewed and endorsed the “Being At Full Potential” methodology and believe it could be a great enabler in our journey as a Team. Mark spent 9 years in Market Research at P&G. You will therefore understand why I entirely trust the solidity of the self-assessment survey he is offering us to take." What a magical experience last week with our team. The debrief of the team assessment opened many profound insights." We as Omega truly are inspired by your intent and we are experiencing a true partnership. We are really proud to have partnered with you." I knew your process would be different than other ways to plan forward, but I failed to comprehend its power for pulling out new insights." 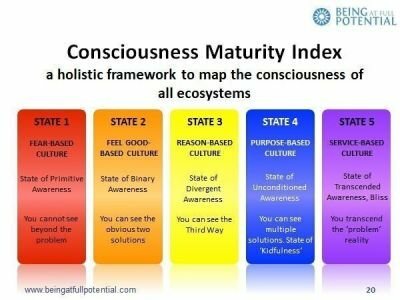 Raising Consciousness within organisations and other ecosystems as the pathway for outstanding performance. Have you ever wondered...What makes a great organizational culture? How culture impacts and influences organizational performance? Why so many attempts to create great cultures fail? What we can do to approach culture change in a more sustainable way? 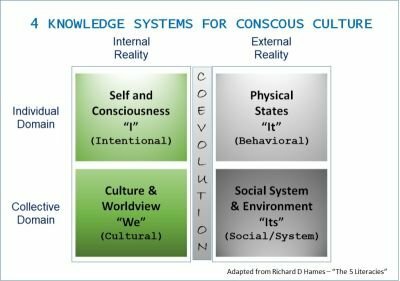 This is a shorter 3 part series of the full length White Paper on Conscious Culture. Have you ever wondered...What makes a great organizational culture? How culture impacts and influences organizational performance? Why so many attempts to create great cultures fail? What we can do to approach culture change in a more sustainable way? This is a shorter 3-part version of the full length White Paper on Conscious Culture. 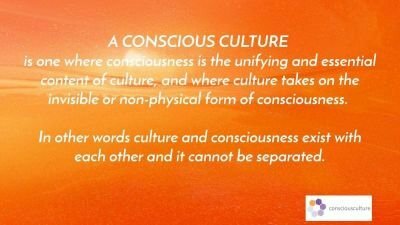 At Conscious Culture, we help to bring out the unique Self to express freely his or her full Human Potential, individually and collectively. We do this by co-creating a conscious culture through development of conscious change leaders and self-organising change agents in the organisations. 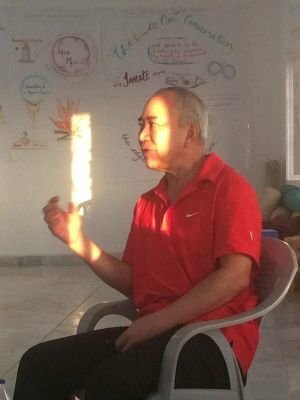 I come to the gradual realisation that culture, and as such consciousness (the unifying but invisible substance or essence of culture), is the social space that works in unseen ways to unlock and unleash the natural and immense Human Potential of people in the organisation, thereby leading to extraordinary performance outcomes, individually and collectively. When we ignore consciousness, as the invisible form of culture in organisations, then any strategic change management initiatives becomes a struggle. It is little wonder that when we ignore the core inner elements of Human dynamics in our change initiatives, then ... "75% of change mananagement initiatives fails." (Towers Watson Report - 2013). We work to make change management succeed through Conscious Culture principles and design. "Conscious Culture" is the trade name of Change Strategy Limited. This exclusive organisational Human Performance survey provides leader a far-reaching "third-way" of "seeing" the current reality that can unfold and unlock the deepest commitment of everyone in the organisation to surpass and take people in the organisation beyond the limit of current performance, value creation and growth. We specialize in going deeper and helping you see beyond your day-to-day leadership roles and responsibilities. We support you in re-connecting with the essence of who you are and why you are here. In doing so aspects of your greatest potential, that may have been unexpressed for many years, will re-surface and guide your next steps. The coaching program can be extended to explore the nine leadership action logics and its correlation with Consciousness Maturity Index. People working in teams tend to achieve better results and have higher satisfaction. Furthermore, profitability increases when workers are persuaded to collaborate more. If a company wants to outstrip its competitors, it needs to influence not only how people work but also how they work and learn together through teams. Many teams falters and fail to achieve desired results. Here is a new way to thrive and excel consistently at higher level - by “teaming” as a Full Potential Team.